Dad got caught, trying to escape the fountain. 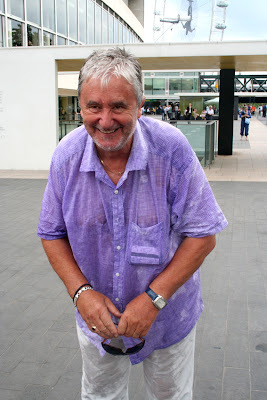 Embracing my inner child, I stood for a few seconds under the cold upspurting jets, and got drenched..
You so look like your dad Jeremy. Especially in this shot....LOL. Father's day plans?